Dr. Justin K. Spooner attended University of Buffalo School of Medicine where he obtained his Medical Doctorate with Research Honors. He completed his internship and residency at Tulane University, then his advanced fellowship training at Indiana University and Johns Hopkins with Board Certification in Pain Medicine, Adult, Child and Adolescent Psychiatry and Neurology. Dr. Spooner has been serving the greater Jacksonville area since 2012. By offering the greatest number of evidence-based minimally invasive procedures to not only relieve, but actually fix the underlying causes of pain, he is able to maximize patients’ long-term pain relief and quality of life. 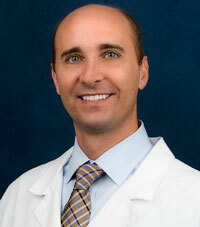 Dr. Spooner is the only doctor in the country with his advanced residency and fellowship training in Interventional Spine and Pain Medicine, Adult Psychiatry and Neurology, and Child and Adolescent Psychiatry and Neurology allowing him to most accurately diagnose and treat both the physical and psychological experience of pain in Adults and Children. Dr. Mithun Pattathan is an internist in Jacksonville, Florida and is affiliated with Memorial Hospital Jacksonville. He received his medical degree from Central America Health Sciences University and has been in practice between 6-10 years. He is currently working with Beaches Laser Spine and Pain along side Dr. Spooner. He also has a number of publications of his studies including “Prevalence and predictors of left ventricular diastolic dysfunction in a Hispanic patient population”, and “Association of marijuana use and cyclic vomiting syndrome”.